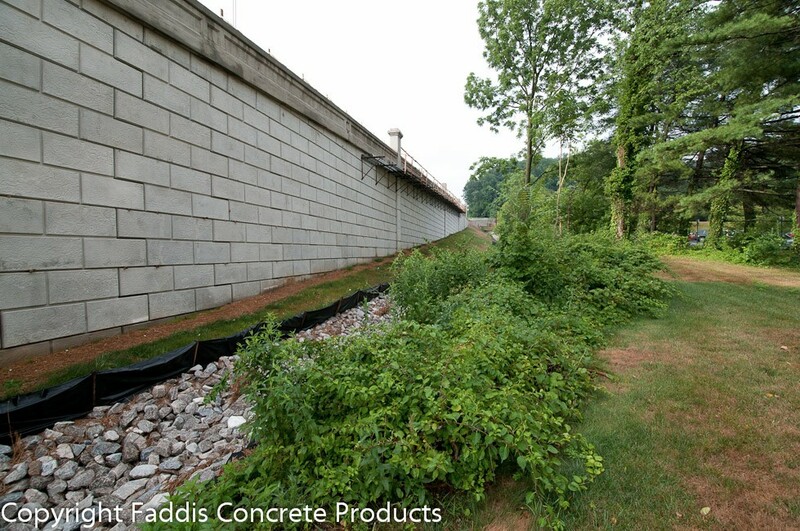 For retaining walls on most state highway projects, the typical wall is constructed of a precast panel facing and granular soils reinforced with linear reinforcements of metal strips, metal grids, or HDPE grids. 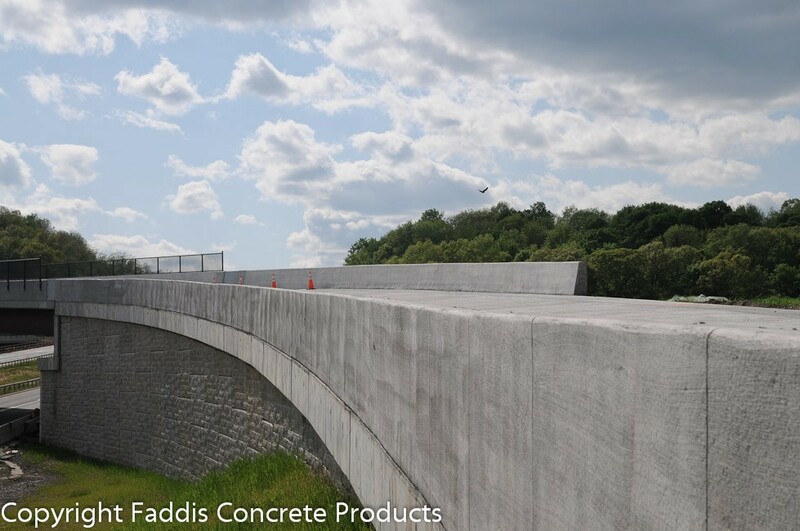 Faddis is familiar with all of the approved systems and has experience casting the various coping or parapets that are designed for the top of the wall. 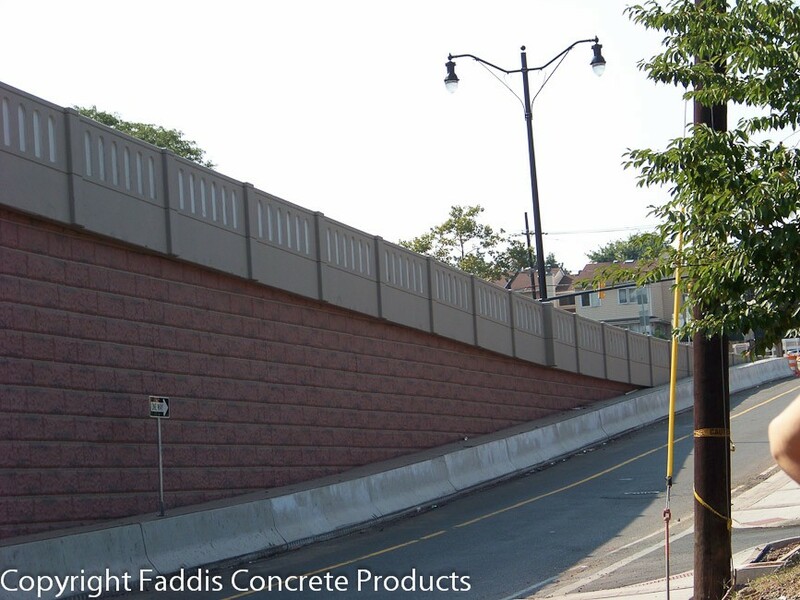 Systems that require sound-absorptive surfaces may be cast with AcoustaCrete® and poured monolithically with the panels as shown in the photo below. 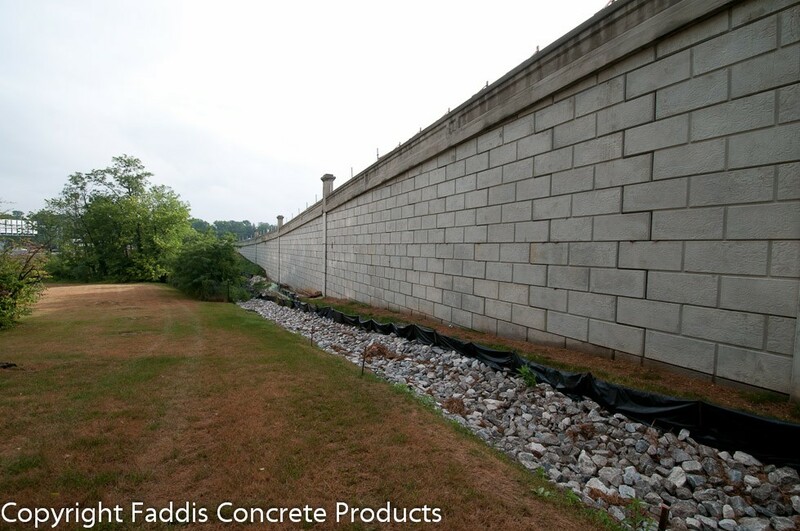 The walls are treated with an acrylic stain upon completion to provide a uniform surface color. 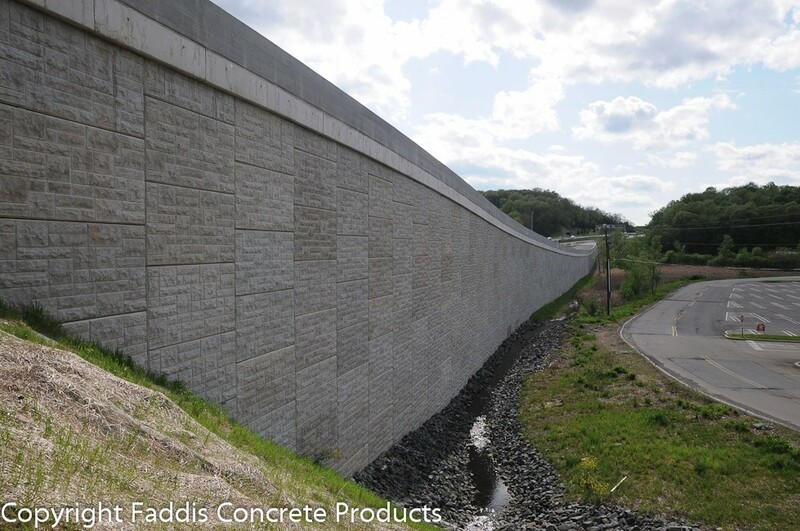 Faddis can apply an AcoustaCrete® face to absorb some of the blast wave force in applications where MSE walls are used as blast barricades. 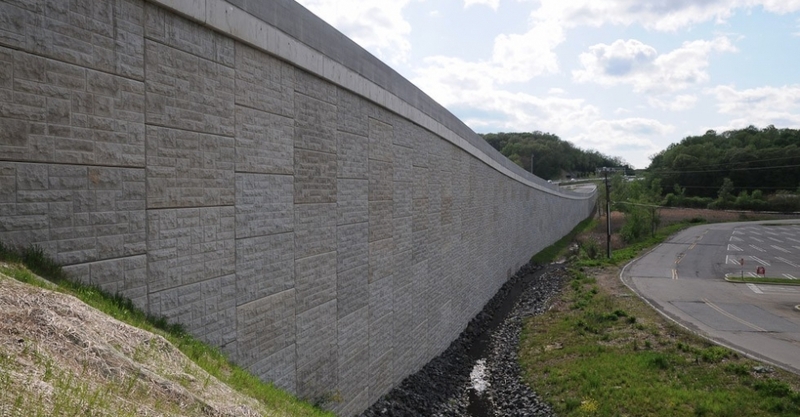 A variety of patterns and colors are available for any MSE precast retaining wall system. 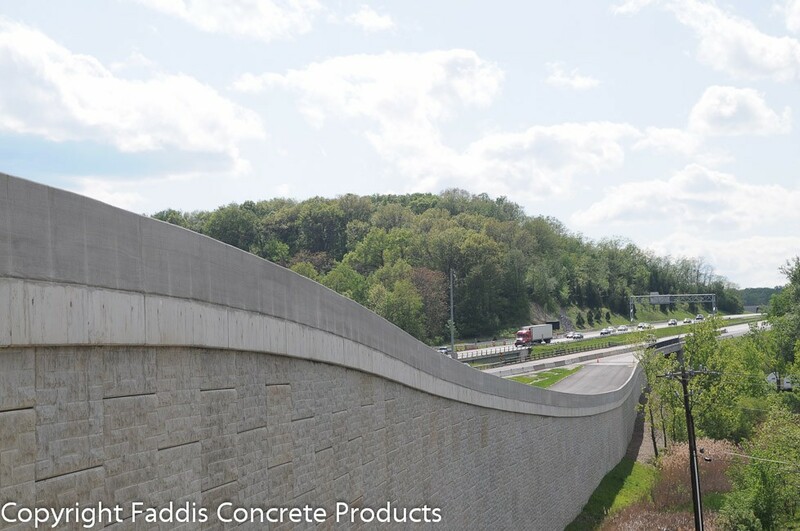 Faddis has 5-foot-by-10-foot forms or can cast product in forms provided by your MSE wall supplier. 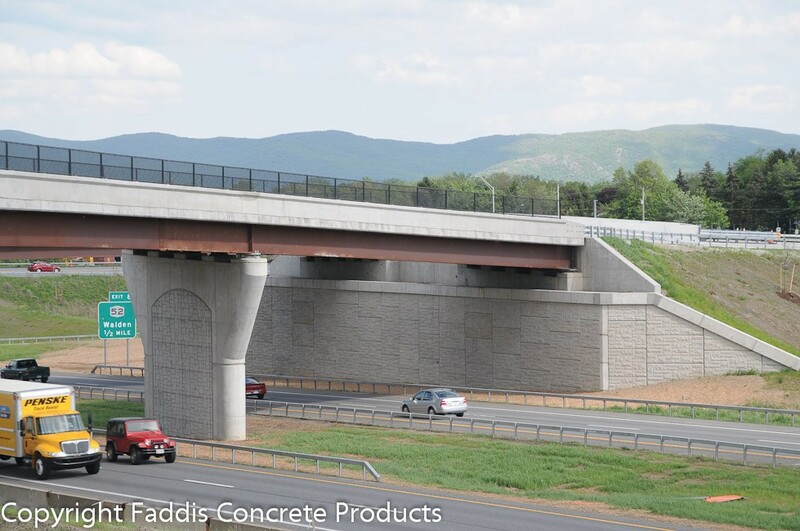 Precast parapets with patterns on both sides are also available. NY, CT, RI, MA, IN, WI, TX, Ontario, Canada, and others.